Taking care of people while taking care of business. NEW: Career Path Coaching for downsized government employees looking to thrive! 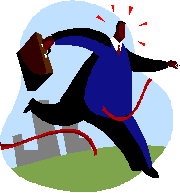 Career Coaching Programs specially designed for recently downsized government employees. -Ignite the next stage of your career! -Learn how to leverage your experience for the private sector. -Empower yourself with a high performance approach to owning your career and building dreams. Now doesn’t that sound a whole lot better than “surviving a layoff”? Absolutely! -Coaching packages for 3, 6, and 9 sessions via in-person/telephone/Skype and supported with weekly coaching notes to keep you motivated and engaged! – Our track record is rather amazing too! Way beyond resume tips, we help clients leap to the next level! 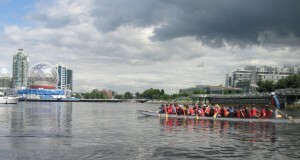 The ultimate corporate team building activity, Dragon Boating. Join us in Vancouver and Toronto or we’ll bring boats to your favorite resort! • The dragon boating experience was a powerful way to physically “feel” the team’s synchronicity and truly understand what high performance “feels” like at the organizational level. • Dragon boating supported informal relationship building, allowed a chance to see individuals outside of their usual work environments, was a really fun way to learn the value of teamwork and synergy and for me the “unusual” nature of the learning experience cements those lessons more clearly in my head. • Dragon Boating – so out of the ‘usual’. Great to see people in another setting. • Dragon boating was tops IMO – different environment, physically and socially based (as opposed to intellectually based, etc…) Impactful exercise that acts as a physical metaphor. There were no managerial layers with this team building exercise, and all the roles were primarily the same, which makes this exercise unique and distinguishes it from the others. • It adds an extra element of camaraderie when leadership events are external and something new for most participants (equal and neutral playing ground). Living on the other side of the finish line Skills for planned success. Interested in your own private workshop in Vancouver or Toronto? Choose from 15 topics for groups of 12 to 25. Ideal for optimizing small groups when needed without the cost of an off-site. Many of today’s business leaders would agree that it is important to take care of employees after a merger or acquisition, but despite good intentions the human factor (read: unpredictable) can lay waste to best laid plans or plans not laid at all. Contact Big Fish for more information about helping employees through change.